I have been loving my Crop Share from Nalls Produce. In this week’s crate, I was pleasantly surprised to see corn on the cob. I have no idea how they got their hands on corn on the cob in January, but I am thankful that they did. It felt like a little bit of August in 20 degree weather. I don’t know about where you are, but it is freezing here. This girl has not had to wear a coat in years, and as much as I love winter, I was ill-prepared for cold weather. I had to buy gloves and mittens and hats in bulk yesterday. On a side note – have you noticed that gloves and mittens are even harder to keep together than socks? I did not know that was possible. Thank goodness for Target, we should have matches from now until spring. So, when I saw corn in my crate, I knew immediately what I had to make with it. 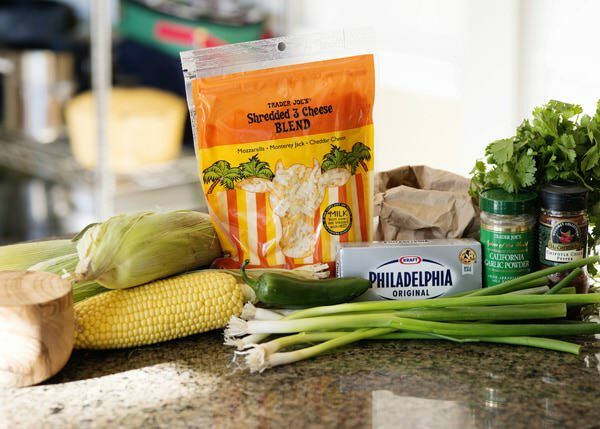 I have been seeing a corn dip floating around Pinterest, and knew that I needed to make it to go along with the enchiladas verdes that I was making over the weekend. 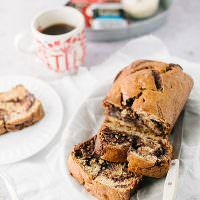 I found this recipe, and made a few changes. Instead of mayo, I used cream cheese. I also used more corn than the recipe called for, but it was because I could not let a kernel go to waste. 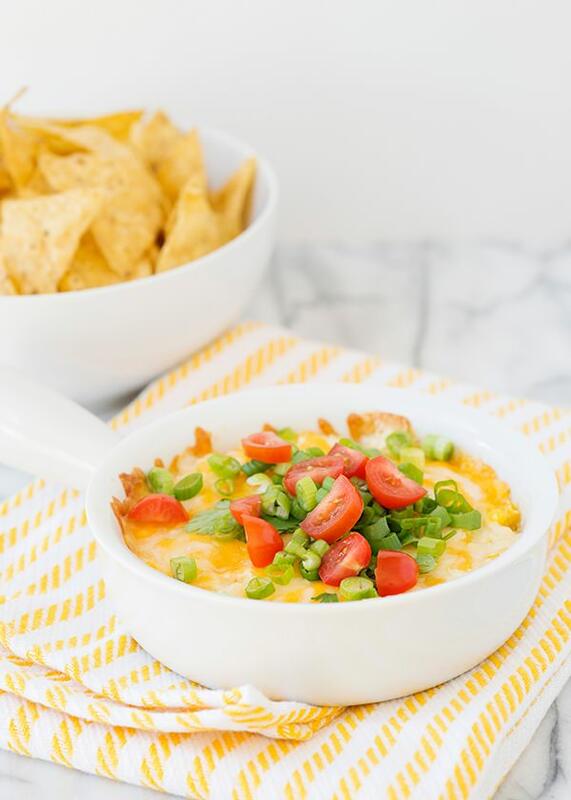 This dip is so simple to prepare, and everyone loved it. Next time, I might add a little crumbled bacon to the mix, I think that a little smokiness would be so good in this. 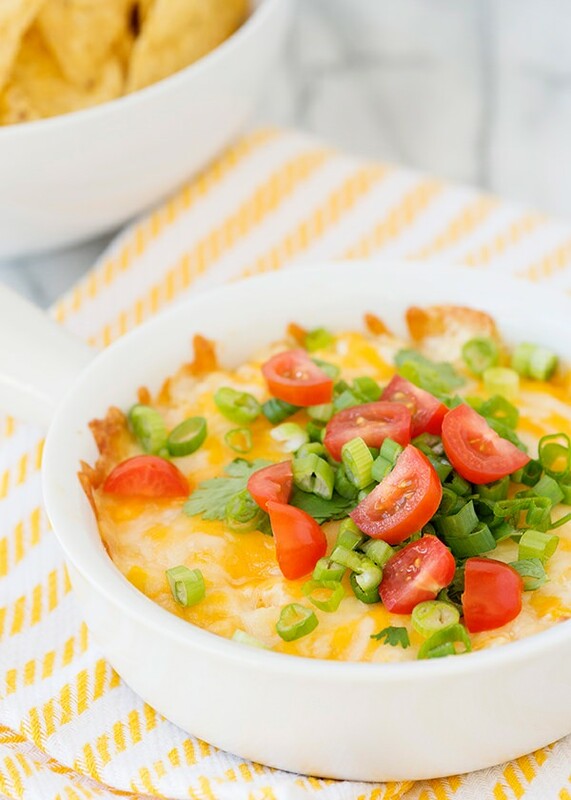 Perfect for Super Bowl Sunday! 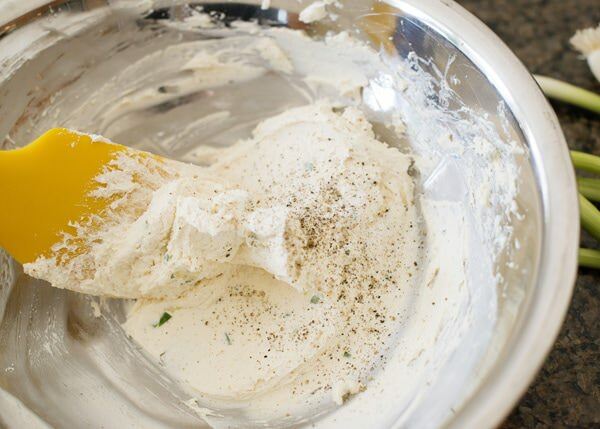 Put the cream cheese, jalapeno, garlic powder, chipotle powder, salt and pepper in a large bowl. 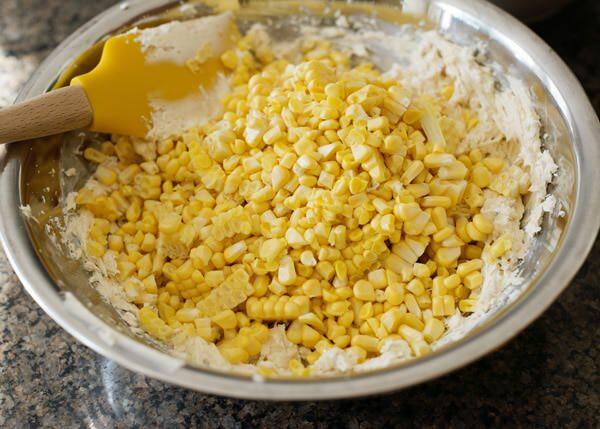 Add the corn. Love having fresh corn in the middle of winter. Add 2 cups of the cheese and stir until combined. Spray a 9×13 pan with cooking spray. (I was making one for later in the day and one for pictures a snack.) 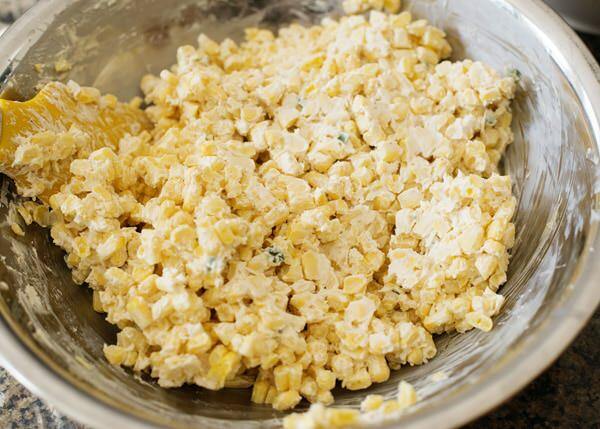 Pour corn into pan and top with remaining cheese. Bake in a 350 degree oven for 20 to 30 minutes, or until the cheese is melted and it is hot all the way through. Top with chopped tomatoes, sliced green onions, and cilantro. Serve with chips. 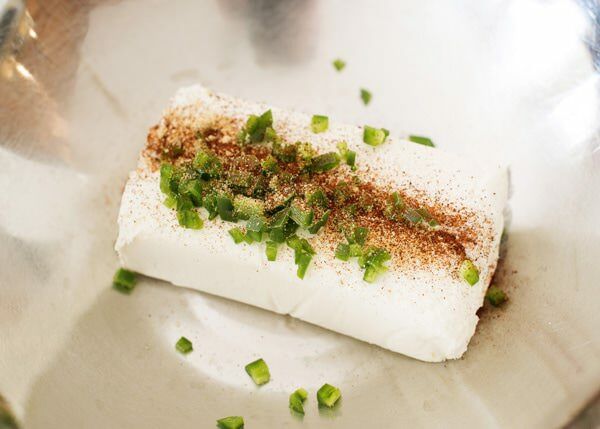 Put the cream cheese, jalapeno, garlic powder, chipotle powder, salt and pepper in a large bowl. Mix together until well combined. Add the corn. Mix until everything is combined. 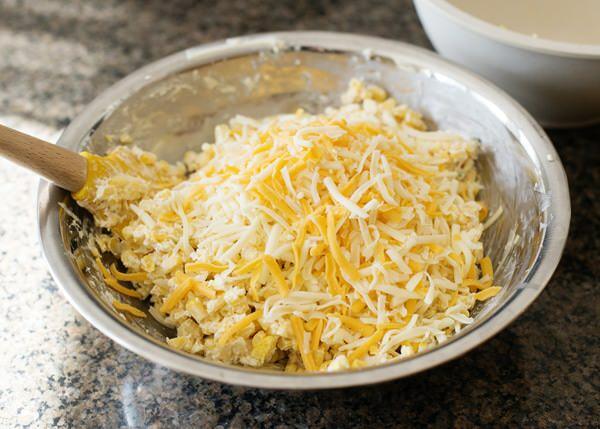 Add 2 cups of the cheese and stir until combined. Spray a 9×13 pan with cooking spray. (I was making one for later in the day and one for pictures a snack.) 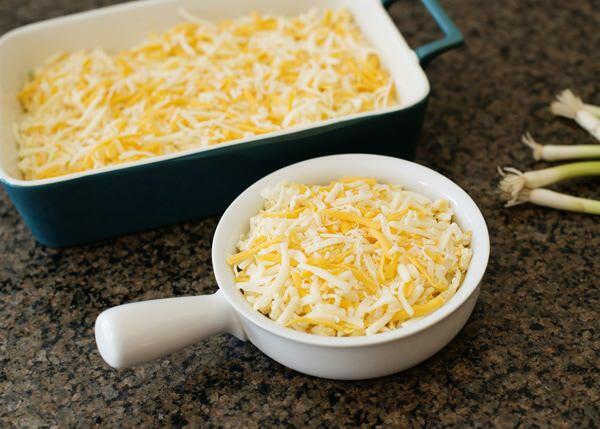 Pour corn into pan and top with remaining cheese. Bake in a 350 degree oven for 20 to 30 minutes, or until the cheese is melted and it is hot all the way through. Top with chopped tomatoes, sliced green onions, and cilantro. Serve with chips. Of course I did! It is re-donk. Be warned! Fresh corn in winter – a “farm to truck to plane to truck to plate” product? I realize I’m a big hypocrite because I have fresh basil in my fridge as I write this! I don’t want to even peek at where it was grown. It isn’t really. It came from Florida. Oh I can just imagine how delicious this is! Pinning! It is crazy. I need this again soon. Love ALL of the ingredients in here. Yum! Oh wow. I dont even care about parties, or games. I am making this all for myself! It looks so so amazing!!!! Dang. That looks delish! Can’t believe you have fresh corn. Makes me pine for summer. thank you! Love having fresh corn in the middle of winter. I’m a happy Nalls CSAer too! I’m very excited to try this recipe and I have no desire to watch football! Really? We must be neighbors! 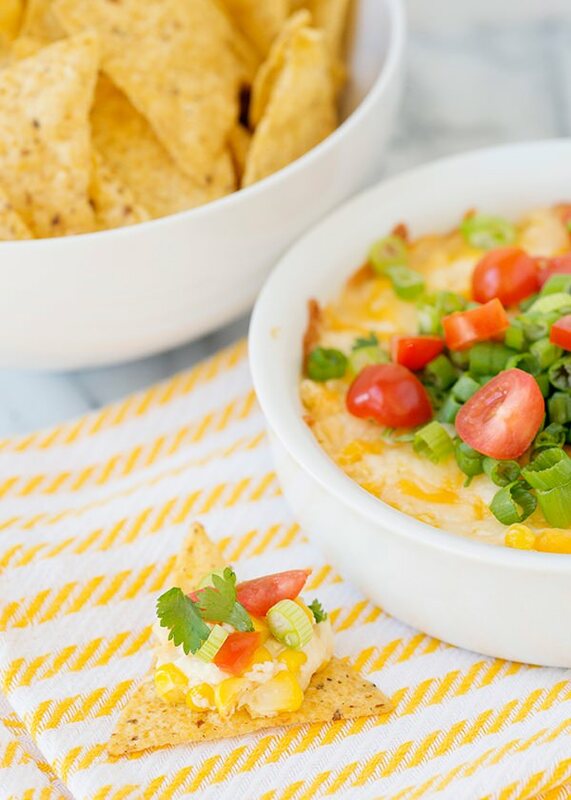 This dip was a big hit at our mini housewarming/birthday celebration last night. I think even the guys wanted the recipe! 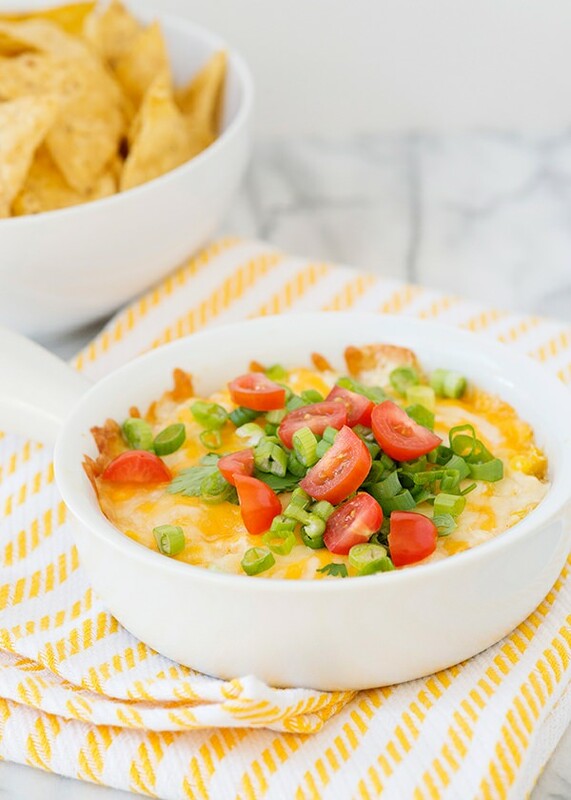 I had an hour after work to get a few food items ready before our friends showed up – and this dip was very easy to prepare. Will be glad to have the excuse to make it again soon! I have made this quite a few times since I posted it. It is easy and so good. Always a hit! I would totally make this again, but I would use a whole fresh jalapeno, or a T of pickled jalapeno. I would also make it in a smaller pan, it was just awkward so thin. Ok, I am not sure why yours was thin, it isn’t supposed to be. Wow! Good for you! That is quite an undertaking. Best of luck! Wow, looks so good! Ingredients I already have most of the time anyway! I bought corn all last summer which we enjoyed cooking on our pellet grill and now looking forward to putting this on our menu! Thank you! Bree, elegant dish you get, I’m just delighted. In general, your blog is just a godsend for mums, lots of useful information written with the soul, and the design is great recipes. 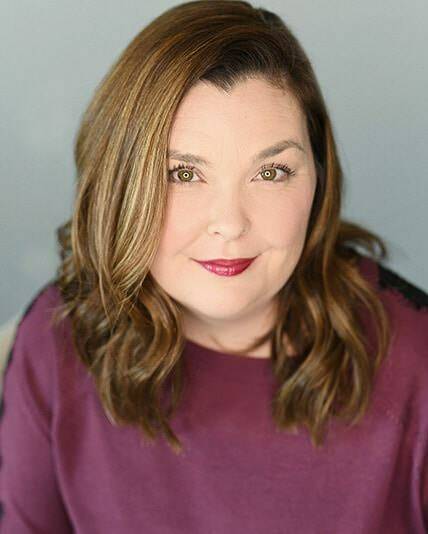 I definitely will be your constant reader, and started to read you to Twitter and posted https://twitter.com/FHRecipes/status/689765148731576321 a post to more people saw your magnificent prescription.